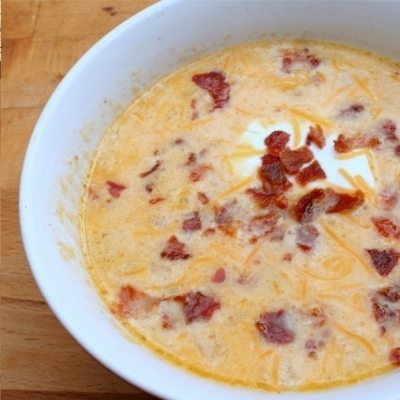 Delicious fall or winter recipe that's low in fat and carbs and super easy to make. Brown beef on the stove. Toss all prepped ingredients in slow cooker and set on low for 8 hours. If you donâ€™t have a slow cooker you can do this with a pot. Before serving, pan fry bacon and crumble on top. I also topped with Greek yogurt and shredded cheddar cheese. Viola!